(Phys.org) —Scientists from IBM today unveiled the world's smallest movie, made with one of the tiniest elements in the universe: atoms. 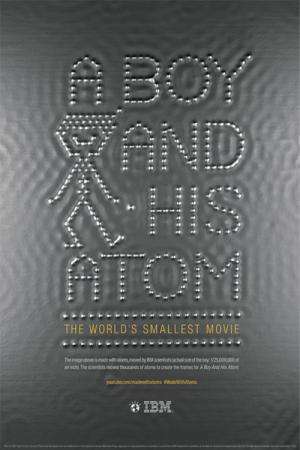 Named "A Boy and His Atom," the Guinness World Records -verified movie used thousands of precisely placed atoms to create nearly 250 frames of stop-motion action. 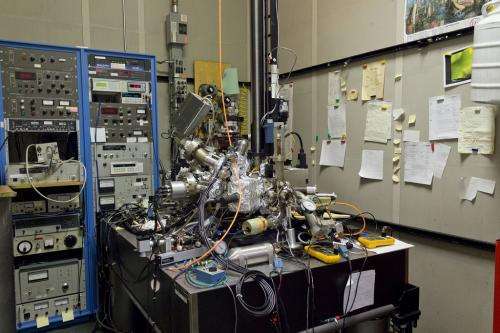 "Capturing, positioning and shaping atoms to create an original motion picture on the atomic-level is a precise science and entirely novel," said Andreas Heinrich, Principle Investigator, IBM Research. "At IBM, researchers don't just read about science, we do it. This movie is a fun way to share the atomic-scale world while opening up a dialogue with students and others on the new frontiers of math and science. As computer circuits shrink toward atomic dimensions—which they have for decades in accordance with Moore's Law—chip designers are running into physical limitations using traditional techniques. The exploration of unconventional methods of magnetism and the properties of atoms on well-controlled surfaces allows IBM scientists to identify entirely new computing paths. In the company's 101 year history, IBM has invested in scientific research to shape the future of computing. That's just awesome... I mean really small. 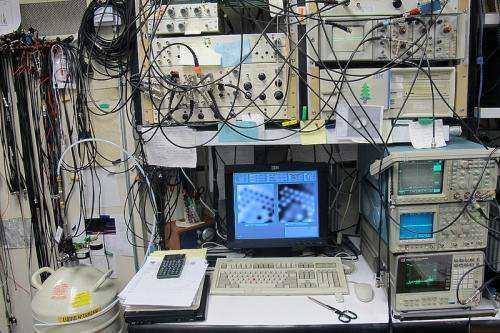 Also nice to see some good old-fashioned scopes and analyzers being used with such a modern system! This seems to be a great progress in technology involving quantum physics, while there is no progress in theoretical concept such as how and why electron can manifest wave property! Maybe this physical mechanism could help to understand. Maybe this physical mechanism could help to understand.